"GoodTask is all you need to organize your day and get things done for real"
If you're using iCloud or Outlook with Reminders and Calendars, it's for you. 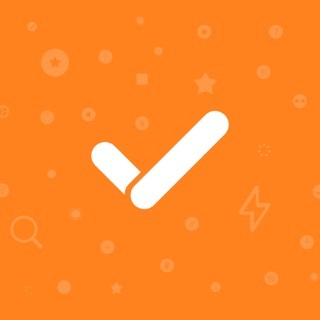 GoodTask is a Powerful Task/Project Manager based on iOS Reminders & Calendars. You can use it as simple checklist to focus or as complex project management tool to get big things done. GoodTask provides various viewpoints to the things that you care and need to be done. Manage your tasks, projects and even your life better with GoodTask. - Overdue tasks, Location-based tasks, Recent tasks, etc. - Duplicate, Change due dates, add/switch tags/lists, etc. Visit our website for more information (http://goodtaskapp.com) ! Subscriptions in GoodTask is OPTIONAL and solely in purpose of supporting the continuous development of the app. In case you choose to subscribe without unlocking everything, it'll be unlocked automatically to fully use the app. - Supporter is an auto-renewing subscription and is available for yearly periods. - Apple Watch : While adding, if there is no preset, it doesn't show options. Visit GoodTask Forum (https://forum.goodtaskapp.com). Thanks! Integrates with iOS reminders (and therefore Siri), makes custom filtering of lists / smart lists easy to use based on priority, due date, tags, etc. Allows sub tasks if needed, has customizable ‘quick’ actions (easily delay due date or time, toggle through priority, add tags, etc). Repeated tasks can automatically repeat at specified intervals regardless of when the task is marked complete, or can be set to only repeat a certain interval after completion. The help/how-to-use documentation is a little unclear - it needs a native English speaker to proofread it, and there are a few bugs with the non-default color themes, but these will hopefully be addressed in the future. A big plus: buy it and have it - it’s not a forced subscription model. But if you *want* to support development, you can opt to buy a ‘support this app’s developer’ non-recurring subscription after purchasing the app. This app is exactly what I wanted: It builds on top of iOS Reminders, so you can still natively use Siri, but it also enables features like Due Date (which Apple has inexplicably removed from Reminders, even though the functionality is still there on the backend). And it integrates with Outlook, so you can manage both personal Reminders and work Tasks from a single app (since the Outlook iOS app doesn't allow you to manage your Tasks). I've never written a review for an app before, but honestly my love for GoodTask 3 knows no bounds. A streamlined task management system is absolutely crucial for any professional in the modern age, and the integration of this app into my personal Getting Things Done system has dramatically improved my productivity. I have the Pro version, and it might be the best $5 I've ever spent. The power behind this task management app is its integration with Reminders. It effectively uses the Apple Reminders app as a database, and then builds upon it to effectively turn Reminders into a powerful GTD task manager. The UI customization & seamless Siri integration is why I immediately preferred this app over more popular task managers. The theme maker is awesome and the natural language processing works. I also like the quick actions, as those are faster than NLP even. It also has a calendar, which some of the more popular apps lack. And because it works with Reminders, you can use this app in tandem with Fantastical; tasks entered in fantastical will automatically get synced to Goodtask. If you’re a serious user of task management apps and work mostly on iPhone, iPad, and Mac, this app is really worth checking out.